Forever Copenhagen-cool girl Freja Wewer shows how it's done again! Want to be cool and chic at the same time? Dress up your plain tee with a linen jacket, and dress down your jacket with a tee. Complete the look with sleek jewellery and sunglasses. 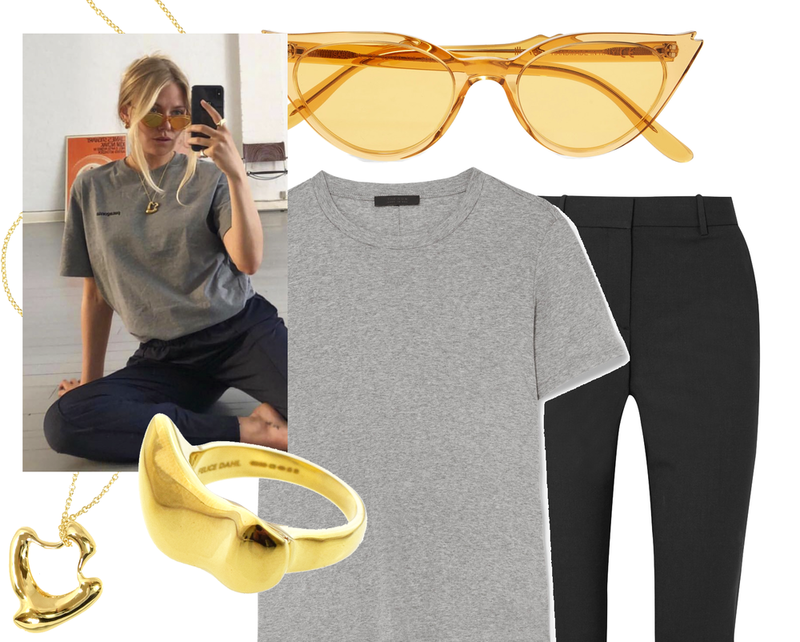 Freja's faves are the Felice Dahl Första Necklace and Skärgård Ring in gold vermeil. When it comes to "I just threw this on" styling, Freja Wewer reigns. One of her tricks? Let your accessories speak volumes. 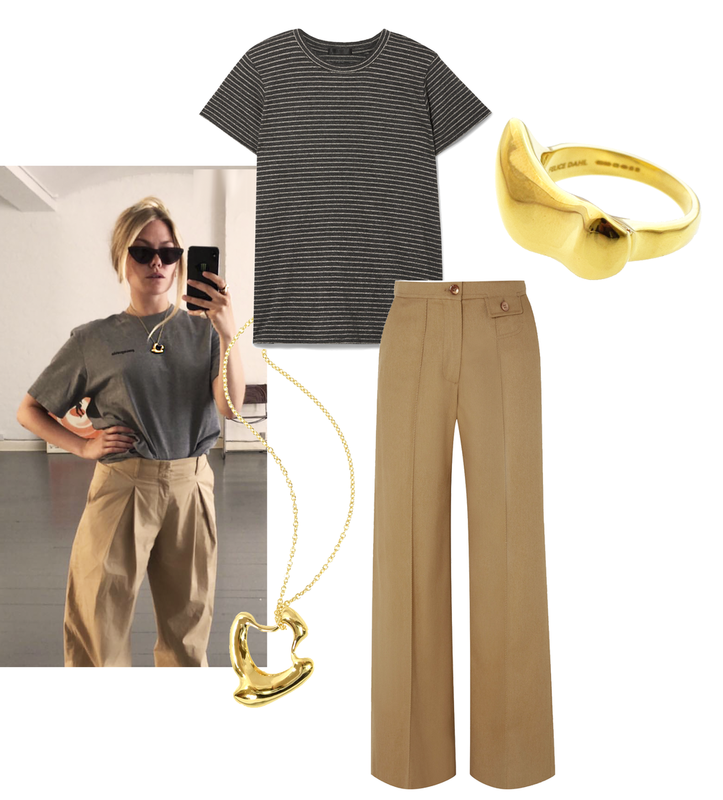 Wearing just a simple tee with black trousers, this Copenhagen Girl steps up the look with her signature gold Felice Dahl jewellery (Första Necklace and Skärgård Ring always) and some tinted shades. Give it a go! Danish Cathrine Urhammer recently styled her Första gold on the picturesque streets of Paris. Love the way she mixed the Felice Dahl Första Pendant Necklace? Try the look with a checkered jacket, elegant open-back shoes and your favourite handbag.